Xmas Pint Workshops 1st December – Pre book your places now! 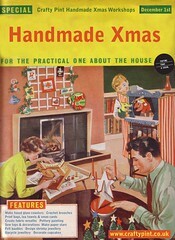 We have so many amazing workshops lined up for you at our Crafty Pint Handmade Xmas, it’s hard to know were to begin! You can drop into the Tram and Social from 12noon and take your pick from any of our workshops which will be running all day. You can pick your workshops on the day, but a few of our workshops will have limited places, so we are offering you the chance to pre-book a place on these. You can pre-book a place at the fused glass workshop and the printing workshop. Make a beautiful fused glass coaster or a set of tealight holders with fused glass artist Mandy Treptow. Mandy will demonstrate the principles of working with Bullseye glass and the different effects that can be achieved. Choose from Mandy’s collection of brightly coloured raw glass to design and make your own glass coaster or tea light holders. Pick your favourite colours to make gorgeous designs with glass pieces, stringers (for patterns and lines) and copper foil for inclusions. There is no glass cutting involved in this workshop. Mandy will take your finished designs and fire them in her glass kiln and then return them to you by post. These will make very impressive and unique gifts, or you might want to keep them for yourself! We will be transforming the Mezzanine into Santa’s print room! Design and print your own xmas cards, wrapping paper and matching tags. Or print tote bags or tea towels to give as christmas presents. Create your own motifs and cut a printing block that can be used to print onto card, paper or fabric. Embellish with rubber stamps and glitter. These are really popular and fun workshop which use a modern version of lino that is durable and easy to use. Suitable for beginners and all ages. We also have a version for younger children than doesn’t involve any cutting and lets them turn their own drawings into prints. See pictures from last year’s Xmas Card Printing workshop in our album here. Advanced bookings are now closed, but we still have drop-in spaces available on all our print workshops, including totes, tea towels and christmas cards. We also have a short version with readymade stamps for young children. Book your entrance tickets in advance to enter our Inspired London prize draw and win a Crafty Pint lucky bag. If you pre-book your £5 entrance ticket, you will win a Crafty Pint lucky bag, and will be entered into our prize draw for a copy of Inspired London, the newest publication from the lovely people at We Make London, providing you with a beautiful guide to the treasure trove of London design talent. This competition is now closed. but you can turn up to Crafty Pint on the day and pick your workshops then. Don’t forget, your £5 entrance ticket provides you with a £5 voucher for your first workshop! 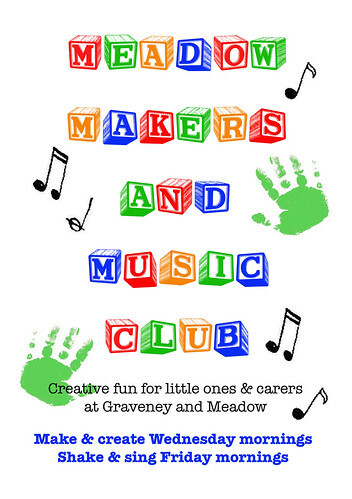 Our drop-in workshops include shrinky jewellery, fabric wreaths, felting, paper stars, hand sewn toys, crochet, upcycled jewellery and cupcake decorating. Look out for our meet the tutor blog posts over the next few weeks to find out more about all of our Xmas Pint workshops. Xmas Pint 1st December	Win a copy of Inspired London!